Throgs Neck Rehabilitation & Nursing Center, has a proud reputation for consistently providing quality sub-acute rehabilitation and long-term care to the Bronx, and surrounding locales of NYC, Westchester and White Plains. 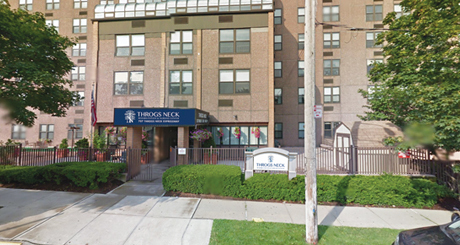 Conveniently located 2 minutes away from the Throgs Neck Bridge, and just 20 minutes away from prominent Manhattan Hospitals, we are a #1 choice for resident-centered rehabilitation and skilled nursing care. Our exemplary long-time staff, outstanding sub-acute rehab program, and highly effective wound care coalesce to provide an experience of unparalleled excellence. Introducing our new LVAD Program! & would love to show you around. to schedule a tour at your convenience.